Abandoned fishing nets collected in Hong Kong waters and upcycled into wearable accessories are to be displayed at the Fashion Summit on 6-7 September at the Hong Kong Convention and Exhibition Centre as part of a WWF pilot programme to draw attention to the issue of abandoned nets. 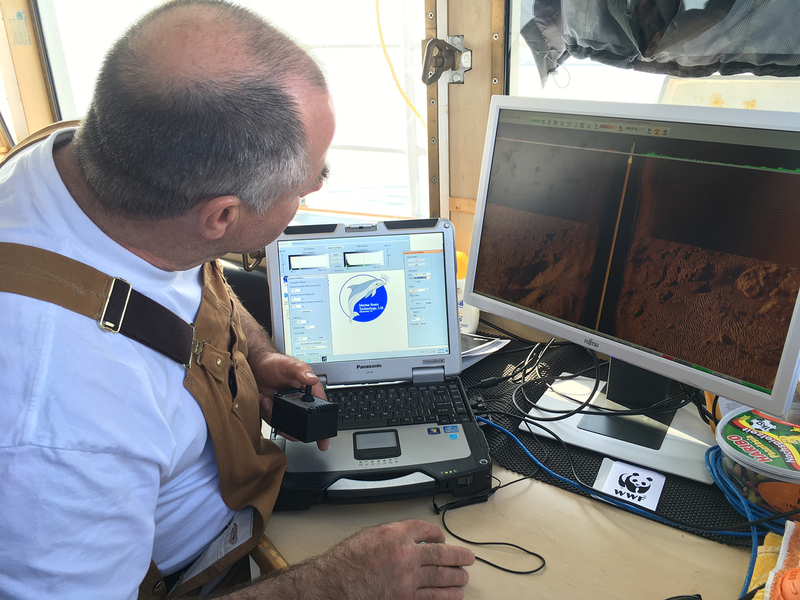 In August WWF and local fishermen collected 40kg of fishing nets. The nets were upcycled into buttons and buckles in collaboration with local design company Ooobject. “Abandoned Ghost nets left all over Hong Kong waters, leading to the deaths of sea turtles, coral and other marine wildlife from entanglement. 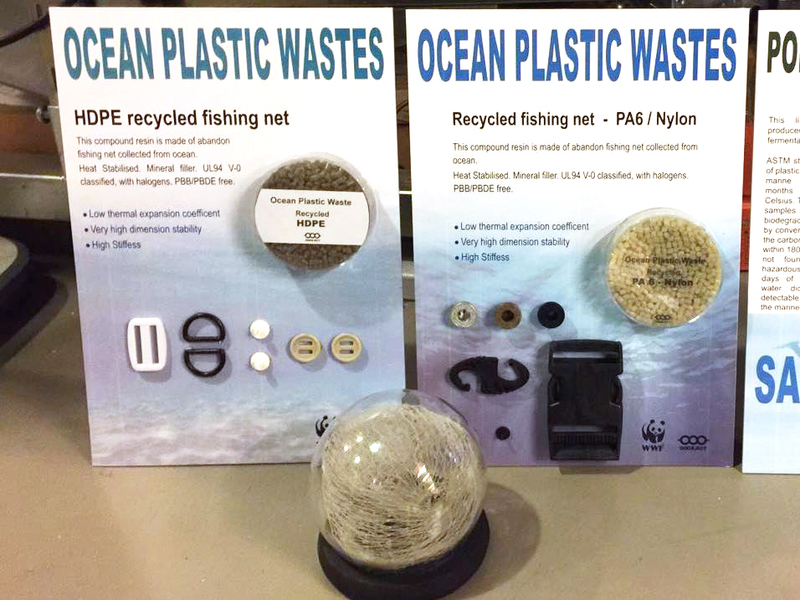 Fishing nets and other gear are among the top ten types of underwater litter, according to the Coastal Watch marine litter survey completed by WWF with the help of volunteer groups. 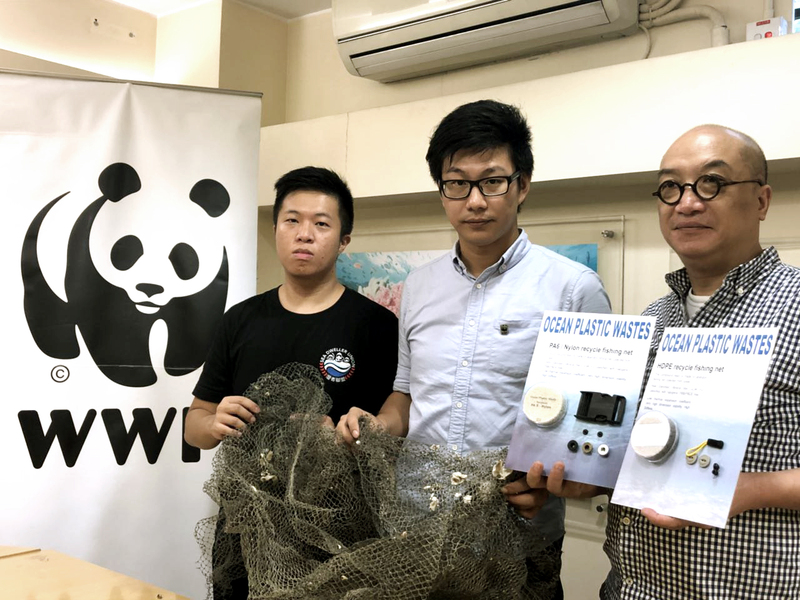 Upcycling the nets tackles the marine litter problem and provides a circular economy solution,” said Dr Patrick Yeung, Manager, Oceans Conservation, WWF-Hong Kong. To build diver awareness and develop the skills needed to remove derelict fishing gear, a ghost net cleanup and safety workshop was co-organized in June by WWF, the Agriculture, Fisheries and Conservation Department and the State Key Laboratory of Marine Pollution (City University of Hong Kong). Participants are now being invited to join with WWF on voluntary ghost net removal operations co-organized with the Government.